The Case That Feels Familiar But With Some New Style. 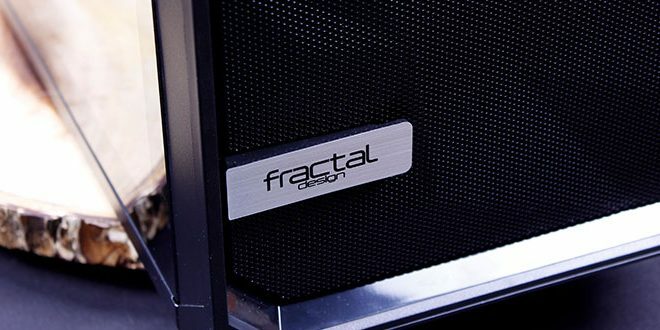 Fractal Design I am quite sure most of you reading this have some sort of familiarity with. Fractal today has provided their newest release the Meshify S2. The Fractal Design Mshify S2 comes to market at an MSRP of $149.99. This places the Meshify S2 in kind of an odd spot. The existing S2 can be found for around 114.99 right now on sale at Newegg (was originally the same $149.99 MSRP at launch), and the Fractal Define R6 which is a great case and one I personally use is at present $149.90 (MSRP at launch $149.99). Now I know this is a “sale” price, but it needs to be mentioned as I have to look at the market as anyone of you buying this case may do. 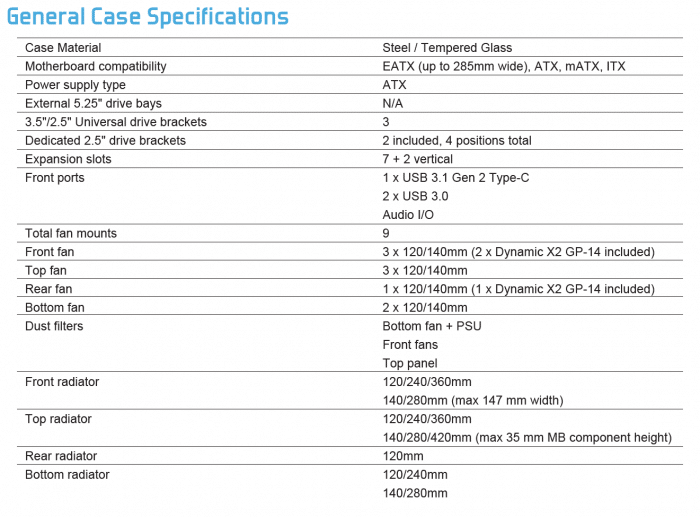 Now the S2 is a somewhat aged case as it was released around October of 2018 or a mere 3 months ago. with that let’s take a look at how the new Meshify S2 stacks and what it has to offer. 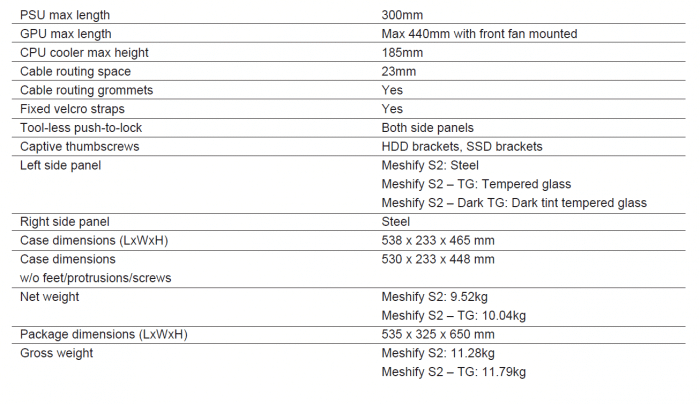 Here we provide the Specs as supplied from Fractal Design for the Meshify S2. With those out of the way, let’s tear into the Fractal Design Meshify S2. 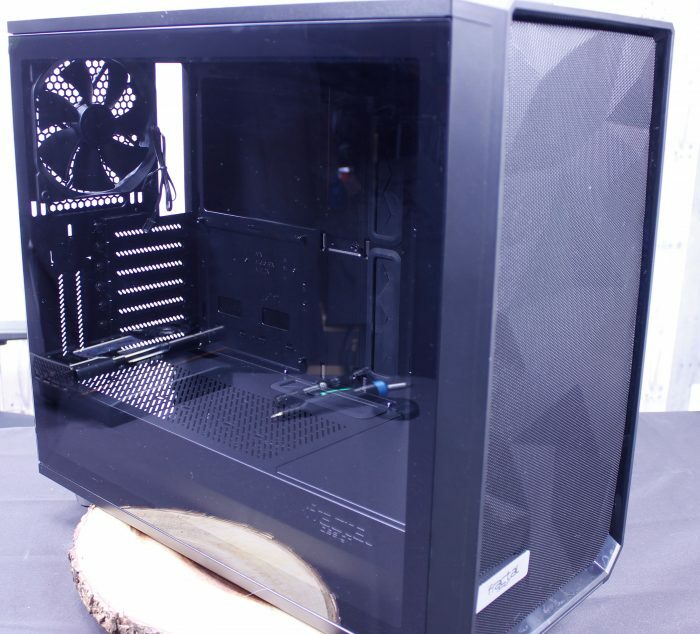 Fractal Design has taken their popular Define S2 and put a Meshify front end on it. Creating a definitive liquid cooling friendly chassis option in the Meshify S2.